Later Groups help you manage access to your photos, videos, and Instagram accounts within Later. Each Group has its own media library, social profiles, and team member access - so it is a great way to organize your social profiles or clients in Later! 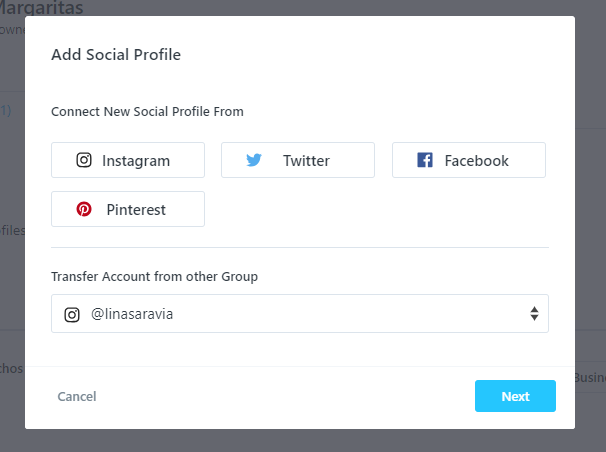 Groups can be accessed and created from Account Settings ➜ Social Profiles and Groups section. 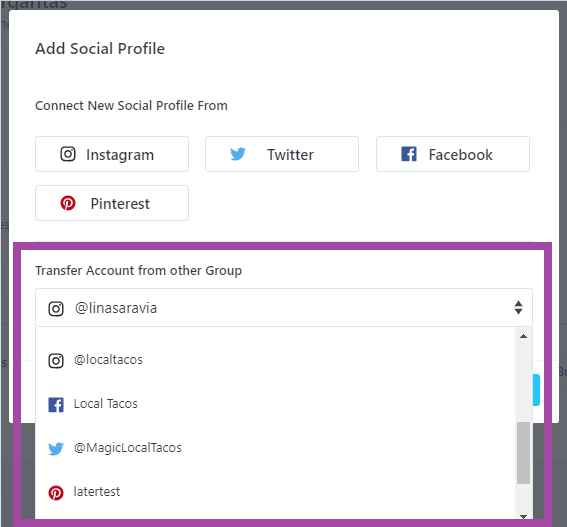 Follow these steps until all social profiles have been transferred to the correct Group. Important note: When moving existing social profiles to a new group, only the scheduled posts will be copied over to the Group’s calendar. To learn how to transfer media between Groups, check out this guide.